When in April 2016 the British collective Broken Witt Rebels released their third EP called Georgia Pine, they created a huge buzz in the whole of the Indie music industry in Great Britain. The EP contained five songs of an incredible impact, either emotional, musical, lyrical, something that blew the minds of many music lovers, no matter the genre played. Given the young overall age of the band members, gravitating in the early twenties, the explosive sound and the musical maturity expressed by Danny Core (Lead Vocals, Guitar), Luke Davis (Vocals, Bass Guitar), James Dudley (Drums) and James Tranter (Vocals, Lead Guitar) was one of the most pleasant surprises of 2016. 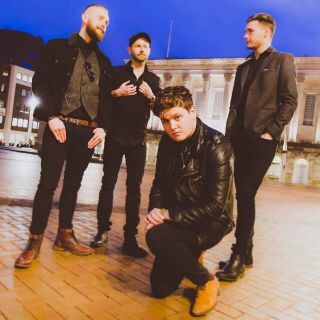 The success of the Birmingham-based collective has continued through this year as well and still going, through a massive amount of Tour Dates that took Broken Witt Rebels all around the United Kingdom, receiving numerous accolades by the fans and the music press. 20th January 2017 must have been another special day to remember in the life history and music career of the young and hugely talented Oxfordshire-born guitarist and singer/songwriter Aaron Keylock. 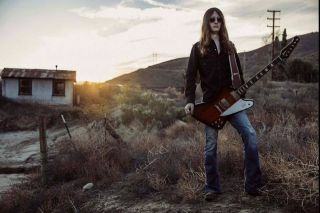 That day saw the 19-years-old British guitar prodigy releasing his debut album called Cut Against The Grain, an album that is the cherry on the cake of a career that goes back a long way, despite Keylock's young age. For somebody that picked up a guitar at the age of 8, it's quite remarkable what the young guitarist has achieved so far in his life as a musician. He was already rocking heavily the Oxford music scene through his thunderous guitar sound when he was 11 and, by the time he was 12, he did even have arguments with club doormen who would argue and struggled to believe that Keylock was supposed to be booked to play at the venues! 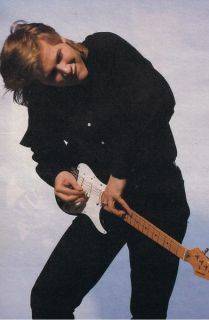 The day that Jeff Healey passed away, in that sad 2nd March 2008, it was the day when the world of music lost one of its most extraordinary and versatile artists that the music business has ever had in the last half a century. The Toronto-born guitarist's life was bookended by serious health issues, starting at the tender age of one, when he lost his sight due to a rare ocular cancer retinoblastoma going then to the last three years to his life, when he lost a even more tragic battle for life against sarcoma cancer. 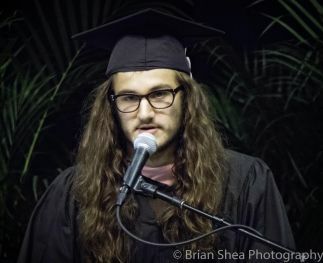 Undaunted by blindness, Healey found a huge love and understanding for music and for the guitar in particular, something that allowed him to express his enormous talent. His thunderous and blazing signature guitar style made the tour of the world, giving to Healey the opportunity to sign a record deal with a major, to build his own band and lead it to global fame from the late 80's onward, with millions of records sold worldwide. Blues is a genre in constant evolution. During the last 20 years, many different layers of different sounds have been infused into this genre, from Rock, to R&B, Soul and many more. A lot of different artists have tried to apply their own trademark to the new sounds they have mashed with the blues, some with successful results, others a bit less. 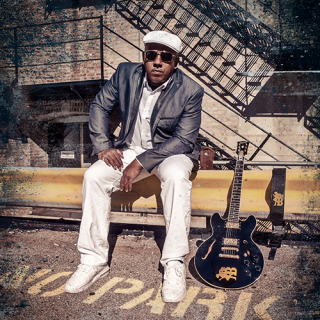 One of the most innovative pioneers of the new sound forms that the blues has assumed through the last decades is certainly Chicago-born guitar veteran Ronnie Baker Brooks. Son of the late great Lonnie Brooks, a symbol of the true Chicago Blues sadly passed away this year age 83, Ronnie Baker Brooks started to learn how to play guitar age six, to then follow his father's steps by touring with him for almost twenty years. Fulfilling your dreams and your career goals is something we all aim to in our lives. We like to dream big and we are all convinced that life is going to be just a huge piece of cake, with plenty of opportunities to show who we are and what we can do. When this idea applies to music, no one more than a blues or blues/rock artist knows how that path is rather a difficult one, with plenty of hard work, obstacles and sacrifices to be made, in order to be able to reach for the stars, one day. 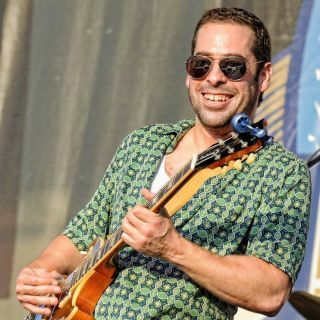 Albert Castiglia, one of the most talented blues musicians of this current generation, certainly earned in the hard way the respect and the popularity from both fellow musicians and fans through a career that has seen the Florida-based artist's music growing bigger and bigger album after album, together with his eclectic and powerful guitar style.